The VMware NSX reference design guide has been a trusted source for Architects to implement NSX solutions, to ensure a smooth and successful deployment. The NSX design guide has been incorporated as a baseline in industry recognized and validated architectures such as VCE and the VMware Validated Designs. VMware released new/updated version of the NSX design guide as a Christmas Gift 🙂 This design guide incorporates tons of feedback that VMware received from their readers and is based on the learning’s of over 200+ production customer deployments of NSX which is fantastic stuff. The updated design guide provides a detailed overview of how NSX works, the components and core design principles. NSX for vSphere Network Virtualization Design Guide V3 is also aligned to the most recent NSX 6.2 release and here is DOWNLOAD LINK . We are diving deeper into distributed routing and edge routing best practices. NSX connectivity options from the virtual to physical infrastructure are often left to interpretation which generates confusion with established best practice. 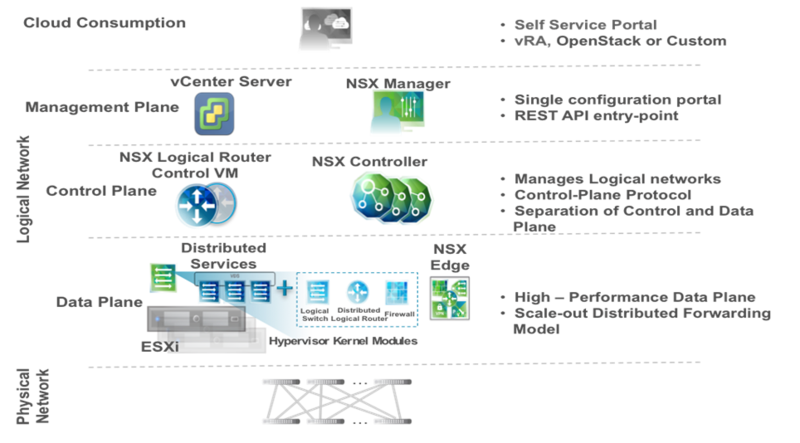 While NSX offers multiple options for connectivity we are taking the position of offering more prescriptive guidance in this document. The reader will get a better understanding of the design principles and availability guidance. We are expanding the guidance around security and micro-segmentation. The document covers NSX services composer and how it can be applied to develop a zero trust security model and stay aligned with best practices consideration around security groups, tags and security policy. We expanded the design considerations to provide recommendations on what a small, medium and large scale deployment could look like. In a smaller deployment you can consolidate the number of hosts and size the environment appropriately to meet the design requirements.